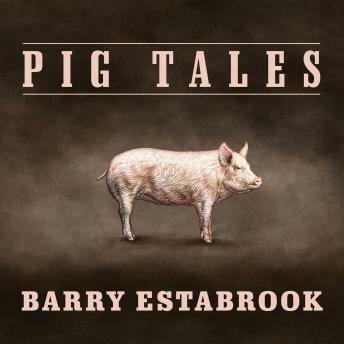 Barry Estabrook, author of the New York Times bestseller Tomatoland, now explores the dark side of the American pork industry. Drawing on his personal experiences raising pigs as well as his sharp investigative instincts, he covers the range of the human-porcine experience. He embarks on nocturnal feral pig hunts in Texas. He visits farmers who raise animals in vast confinement barns for Smithfield and Tyson, two of the country's biggest pork producers. And he describes the threat of infectious disease and the possible contamination of our food supply. Through these stories shines his abiding love for these remarkable creatures. With the cognitive abilities of at least three-year-olds, they can even learn to operate a modified computer. Unfortunately for the pigs, they're also delicious to eat. Estabrook shows how these creatures are all too often subjected to lives of suffering in confinement and squalor, sustained on a drug-laced diet just long enough to reach slaughter weight, then killed on mechanized disassembly lines. But it doesn't have to be this way. It is possible to raise pigs responsibly and respectfully in a way that is good for producers, consumers, and some of the top chefs in America. Provocative, witty, and deeply informed, Pig Tales is bound to spark conversation at dinner tables across America.